Abby, my great-niece, is at the Daisy level in Girl Scouts. That means that she has just begun. I wonder if she will follow in her grandmother's footsteps in working through the ranks, earning enough badges and earning her Curved Bar Rank? 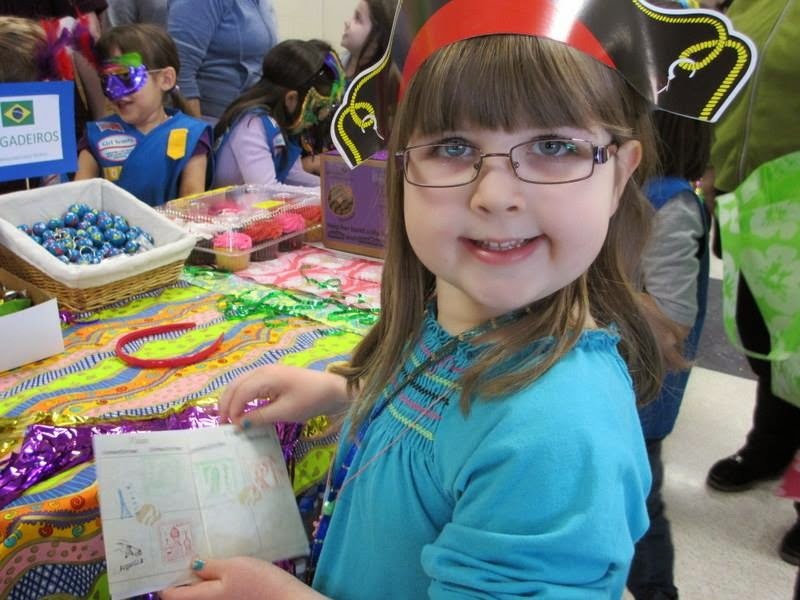 Abby is off to a great start, participating in all sorts of activities and selling 163 boxes of Girl Scout Cookies. I hope Abby does not follow in her great-aunt's path of having it 'suggested' that 'maybe Girl Scouts was not right for her. Yes, I was asked to 'leave' the Girl Scouts, or some might say 'kicked out.' But let me explain...and then I will get back to Abby. at the Argentina booth celebrating Mardi Gras. I was a Tag-Along in my sister's (Linda) Girl Scout Troop. I was allowed to tag along when my mother helped with activities...so...feeling quite special...I watched her troop do all sorts of activities. They camped, hiked, rode horses, roller and ice skated, visited historical places, did service and community work, visited planetariums and kept the girls busy. 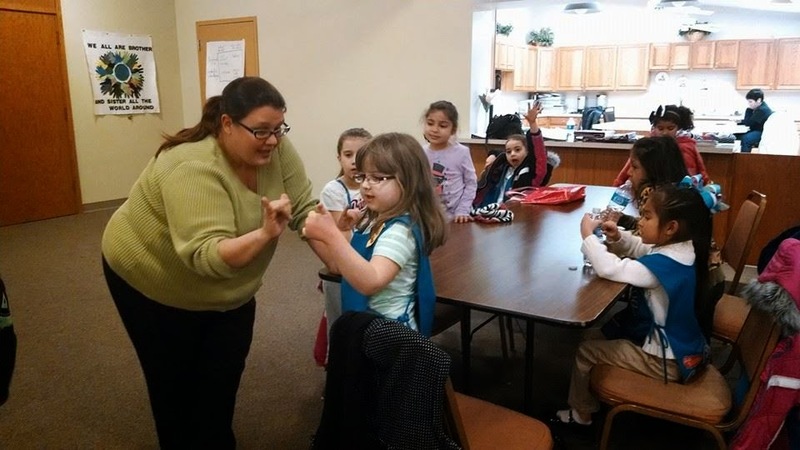 I could not wait to become a Brownie Girl Scout. In Brownies we learned to make potholders and placemats. In Scouts we continued to make potholders and placemats. During one of the meetings, my friend Toni Good and I rebelled. I am sure we were quite obnoxious...ruining our own potholders, complaining that it was 'boring'...we wanted to be camping...making our 'home in the woods'...riding horses...anything but making another stupid potholder. I kind of feel sorry now for the leaders as I am sure they were doing their best...but adding two unruly girls in the mix could cause a mutiny. So that evening my mother received a call suggesting that maybe their daughter would be more suited for the Marines. (Maybe not the Marines...but definitely not the Girl Scouts.) Toni's parents received the same call. We were 'fortunate' that we had one last chance...we had already paid to go on the camping trip...so we were on probation until then. Abby is learning to sign her name. What fun activities! I will make this short...camping was fun...but sneaking out after 'lights out', sticking our heads under the tent flaps and making scary sounds was more fun. Then a trip to the creek...and we were not the only two...there was one more. How we were caught...I don't remember...maybe we had a bad reputation by then. We failed our probation and our parents decided to remove us from Girl Scouts. My sister was mortified. I was relieved...and I am sure my parents were too. I am sure they were tired of my complaining. I don't think it hurt either of us. Toni is now an editor at a large university and I am a retired teacher and guidance counselor. But back to Abby. I hope her troop continues to do interesting activities. She proudly wears her Daisy vest and looks forward to the meetings and other events. Scouting is a positive experience for her and I hope she moves through the ranks as my sister did. I have sprinkled a few pictures of Abby throughout this as I intended this to be more about her. Looks like I will have to do another post and not get off topic. But for now...Go Abby! I am so proud of you. Your scout leader is giving you so many opportunities to learn about and experience the world. 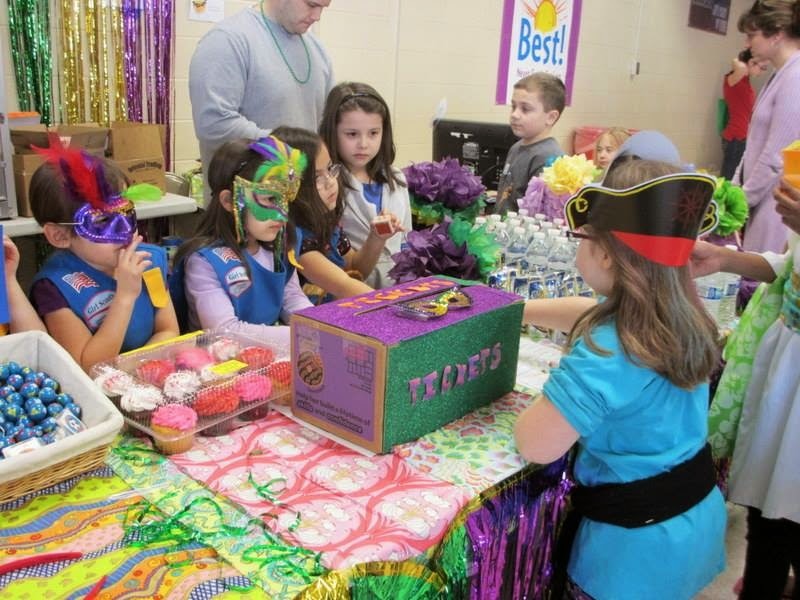 Oh...and next year, Ray and I will order two boxes each of Samoas, Trefoils and Lemonades...and put in a couple of boxes of Tag-alongs for me. Ray has already eaten this years cookies. Wishing Abby many many happy years in Girl Scouts. 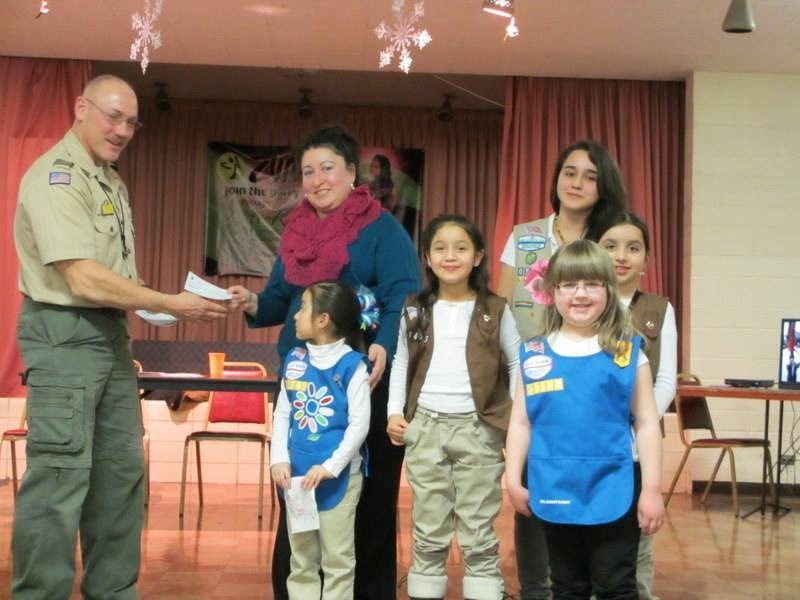 Are you living your lost Girl Scout life through little Abby? I love GS!! I was one and I am my daughter's leader - it's that important! 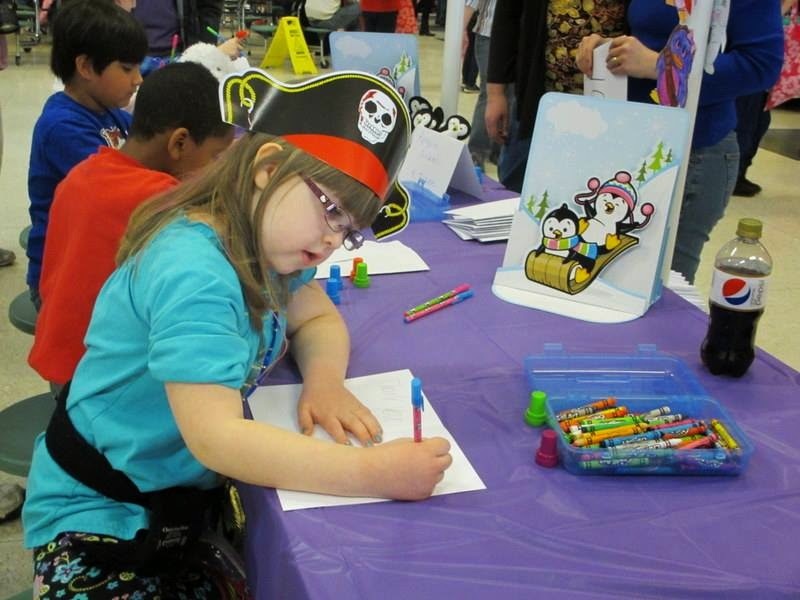 Your pictures of Abby are adorable - what a proud little girl! And your personal story just made me laugh! Thanks for sharing that. Perhaps you had a bit too much of Maxine's spark in you to be a passive Girl Scout. Your Abby is sure cute and looks very involved. Nice order for her too. Now I'm hungry for some cookies. First, Abby is adorable. Second, I laughed so hard at you being more fit for the Marines!! Too great! All I remember about girl scouts is playing a game called "Lemonade". I have no recollection of how to play, only that I loved it. Ahhh, memories of Girl Scouts come rushing back! I love that you were full of mischief - that makes scouting more fun (for the girls!). I am cracking up laughing! I can just picture these antics you describe. I didn't last long either. I managed a year or two, but all I remember is singing. All I remember are singing the same songs over and over again….John Jacob Jingleheimer Smitt….da da da da da da da. I can't carry a note so I'm sure it was painful for everyone. I'm glad your niece is enjoying her scouts. My niece is doing the same. I'm glad they can clear our family names.